During my two weeks with the Palm Pre, the one thing I missed the most was how it notified me of new e-mail on all of my accounts via push. Any time an e-mail arrived in my inbox — regardless of which account it was — the Pre would light up and show me a short preview of the e-mail. If it was junk mail, I could avoid having to open up my mail just to be disappointed (same goes for random e-mails from friends or colleagues that aren’t time-sensitive). On the iPhone, even with OS 3.0, there are only two options for push e-mail: MobileMe (which I have, and use for personal e-mail) or an Exchange account. But even with those, I’m still not getting the same experience from the Pre — I still have to actually unlock the phone and go into Mail (which kills the battery faster) instead of the iPhone displaying a preview notification. 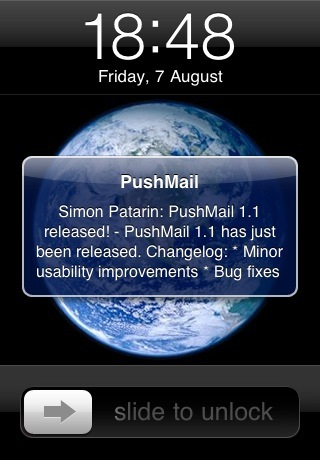 That is, until I found the PushMail app. Aaaand, I’m back. Today’s Apple WWDC keynote (and subsequent iPhone-related announcements) sort of distracted me from finishing my Palm Pre post, so I split it into two parts for ease of reading. The Palm Pre has been exhaustively reviewed and dissected on numerous blogs by now, so I won’t go into a thorough review, but rather spend the rest of this second part discussing some minutiae that I haven’t seen discussed elsewhere as much. To me, it’s the small “gotchas” that make or break handsets like this, so hunker down and let’s get started. Unable to contain the lust I described in such detail back on May 19, I lined up this past Saturday with thousands (?!) 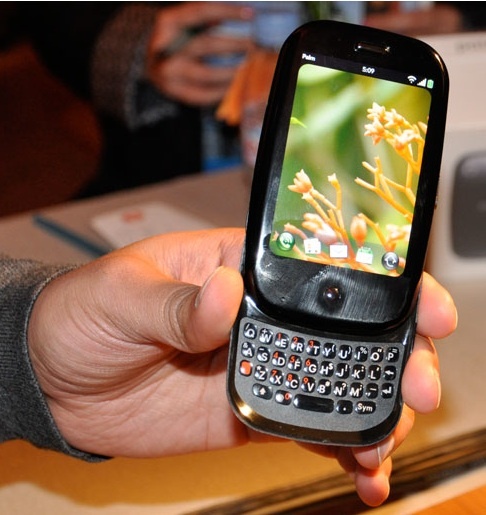 of others to get a taste of the new Palm Pre (available exclusively from Sprint). 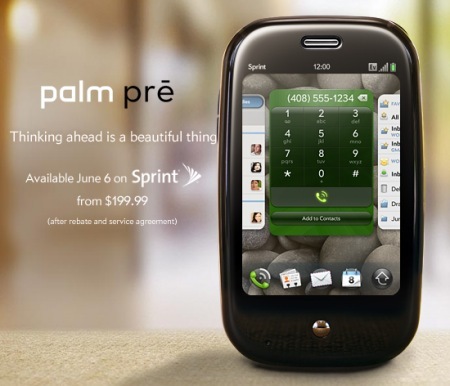 For those who haven’t been paying attention, the Pre is basically a make-or-break handset for Palm (and to a lesser degree, Sprint, who has been bleeding customers for quite some time). So, now that I’ve had my hands on a Pre for 48 hours, does it walk on water or can it barely swim? That depends on your expectations, and ultimately, your patience as a user. June 2nd, 2009 | Comments Off on Summer touchscreen gadget overload! Man oh man, it’s a great time to be a touchscreen gadget lover… that is, if you’ve got deep pockets or service with most of the major carriers in the U.S. (which I don’t, sadly). There is a veritable tidal wave of new phones coming this summer, beginning this Saturday, June 6, with the long-awaited Palm Pre from Sprint that I was salivating over last time. Palm Pre and the lust that makes a faithful man stray…? 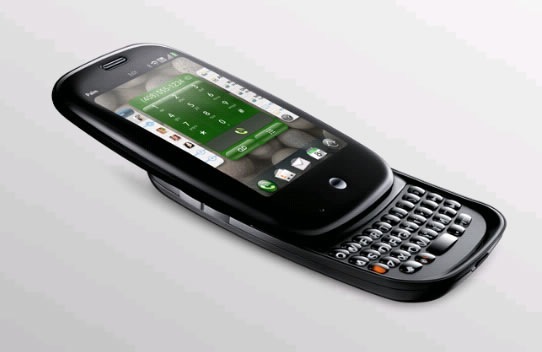 May 19th, 2009 | Comments Off on Palm Pre and the lust that makes a faithful man stray…? Look, I love my iPhone. I was one of the original nutballs who sat outside my local AT&T store on June 29, 2007 for 5 hours to make sure I got one, and then repeated that the following July with a 6-hour wait outside an Apple Store for the iPhone 3G. And I’m a faithful kind of guy, both in life and in gadgets. But sometimes, something comes along that makes you lust for it just a little too much. And thankfully, when it comes to gadgets, it’s perfectly legal to have two wives. But does it make any sense?